On Monday May 16 our Secretary, Malcolm Babb, was re-elected as the NALC President, having first been appointed to this office in 2013. These are uncertain times for NALC, with Macmillan phasing out its funding. Clubs, members and other individuals have responded magnificently to the challenge of raising funds, but maintaining an office and two staff sets a high bar. The Annual Report gives a clear indication of NALC’s work done for public benefit. 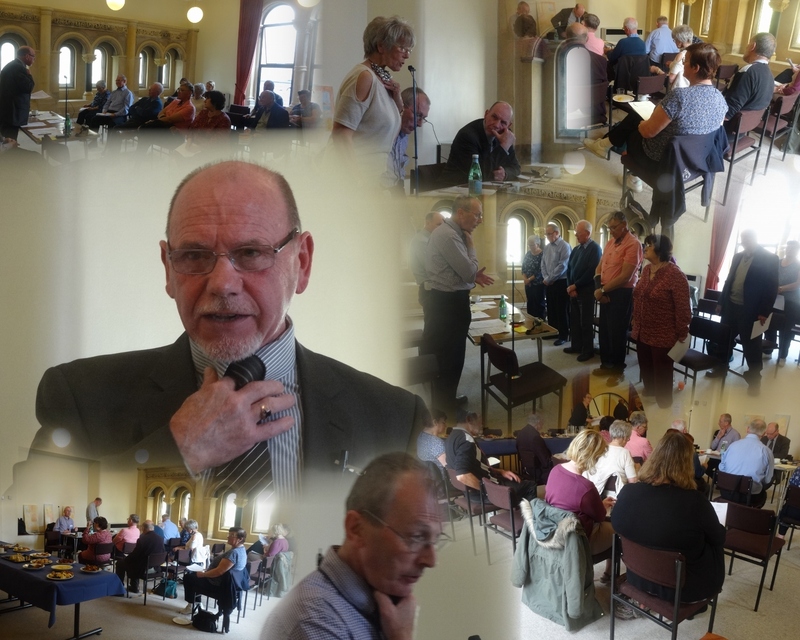 The officers, staff and committee of NALC are determined to continue to support laryngectomees in adjusting to their life-changing surgery, as they have done for over 40 years, with the assistance of members of our 60+ affiliated clubs. It was with great sadness we learned of the passing of Tony Curtis. 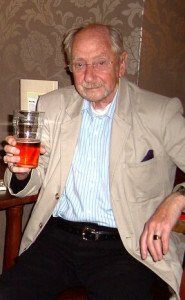 Tony became involved with the group when it was re-launched in 2006. For a couple of years he was Secretary and Treasurer! Without his hard work and commitment the group may not have survived those years. He finally stood down as Treasurer in 2014. Tony’s friendship will be missed, he had a great sense of fun and we enjoyed his dry humour. We send condolences to his daughter Alison and family. 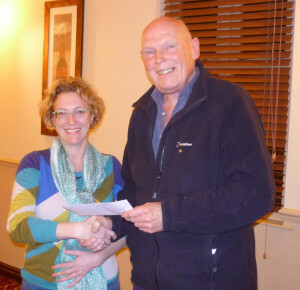 HNChelp has once again received generous financial support from The Rotary Club of Clay Cross. 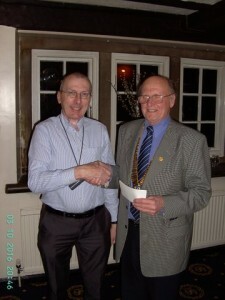 The picture above shows our Secretary, Malcolm Babb, accepting a cheque from Rotary Club President, Neil Greatorex, last week. We are very grateful for this support. Finding funding to maintain existing services is far more difficult to obtain than for a new project. Whilst we have increased the number of our own fundraising events, this donation is very welcome indeed. We held our AGM on Tuesday March 8th at The Olde House. Members received an Annual Report which is now available on our “Resources” page. Abi is seen with Ray Mountain, receiving from HNChelp a donation towards her expenses in attending the event. Members learned of developments in the treatment of head and neck cancer. Perhaps the most fascinating were about the work of Eric Blom in the USA, who with Mark Singer had originally introduced the use of a voice prosthesis (speech valve). It was good to learn of developments which should lead to longer lasting valves and easier procedures to make a puncture for a valve. More details of Abi’s talk will appear in the Resources page shortly. HNChelp is grateful to Abi for joining us and giving a talk enjoyed by all of us. Today Chesterfield Royal allowed our members to have a stall at the hospital’s Information Point. We were raising funds for both HNChelp and NALC and the total of the donations received was £150. We thank patients, visitors and hospital staff for their generous support. We also gave out leaflets advising on the early signs of head and neck cancer, given the importance of early presentation and diagnosis in surviving cancer. All our members present enjoyed meeting and talking to both the public and medical staff.